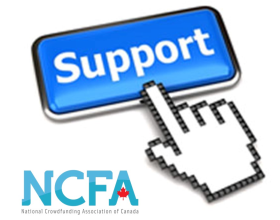 On May 21, 2014, the National Crowdfunding Association of Canada (NCFA Canada) and the Vancouver Economic Commission (VEC) co-hosted 'Igniting Venture Capital in BC: Expert Panel on New Equity Crowdfunding Opportunities (event details). Another early morning in Vancouver, BC and a meeting starts with a full house of equity crowdfunding industry participants including entrepreneurs, lawyers, investors, securities regulators, government, tech and finance executives who want to make sure this city keeps its crown as the entrepreneur and tech startup capital of Canada. On the books for Wednesday was a discussion of the upcoming changes to Canadian securities laws for raising equity online, held at the Delta Vancouver Suites Hotel, and how this is going to disrupt everything from venture capitalists (VCs), accelerators, and government investments. In 2013, BC attracted $478M (CAD) and had the largest deal in the country with HootSuite's Series B round of $171M (CAD). Ontario may have more money, but when it comes to actual companies invested in, BC wins out. Just with tech jobs, BC added 18,000 in 2013 with weekly salaries almost double the average of the rest of the province. In total tech contributed to 7.6% of the GDP of the province. It is these numbers which attract top Silicon Valley VCs to Vancouver. In April 2014, David Blumburg flew up to field pitches from the top tech this city has to offer. Meaning our talent pool must be doing something right. But even with these staggering numbers, the British Columbia Securities Commission's (BCSC) Leslie Rose acknowledges funding gaps and challenges still exist for tech companies at every stage. The changes to the Canadian securities laws if adopted would allow the general public to invest in equity crowdfunding online, and companies to offer small amounts of equity with less disclosure thus driving the cost of raising capital lower and widening participation at the same time. 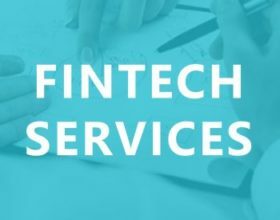 The amounts of $1.5M (CAD) and $150K (CAD) allowed to be raised are small in comparison to most deals, but signal a sea change in how financing in Canada happens. From a regulators perspective there needs to be a balance between funding access and risk protection for those new less sophisticated investors. The proposed laws won't solve all the funding problems – and are not expected to – but will allow for more capital to flow, even if it is still slightly restricted. The loosening of the regulatory requirements for the distribution of equity securities online is expected to push job creation in BC, and other participating provinces. The idea is simple, by allowing startup access to more forms of capital the growth of industry, and more importantly the growth of people working, will stay strong. By using a new form of democratic financing pioneered by the crowdfunding movement companies can start faster with less formal capital, making the market more efficient. As with most changes to regulatory rules, not all parties see the immediate value or application of the proposal. The main opposition came from traditional VCs, wondering how this would affect their ability to perform an exit on a company invested in or why adding more shareholders to a portfolio would be beneficial not tiresome. These are valid criticisms yet the applicable scope and solutions to the funding gap crowdfunding affords may not apply to traditional VC funding, who may still carry on as normal while alternative funding methods operate around them. Crowdfunding does not want to cut out VCs, instead it wants to introduce more capital to a tight market. This is turn makes the VC's job easier as they can now find attractive campaigns later on when their funding needs exceeds what crowdfunding can offer. A key point brought up by GrowLab's Jonathan Bixby was the lack of understanding of how competent the management team is to carry out the particular task, as a video or short bio is nothing strong to instill confidence for an investment. It was acknowledged this would be good for smaller deals, where patient money is needed and can be kept without fear of liquidation. However, the power of the crowd to vet and back investments they believe in leans towards a different approach to investing. With the loosening of the regulations projects previously passed on are no longer stagnant and can be picked up by others who see a different value in what is being created. An interesting proposal was brought up, to use the equity distribution as a stock option plan rather than straight funding. Or, even the use of financing for franchises, which have an historically low credit risk and high returns. 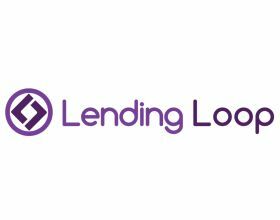 The rise of peer-to-peer lending in the EU provides parallel support for different funding opportunities. Alternative funding solutions are starting to open up; it's just a matter of where and when. The usual fees imposed by brokers, banks, and other dealers can be bypassed, giving more cash in pocket to entrepreneurs. Crowd investing adds clarity to the market, as Daryl Hatton of Fundrazr stated. 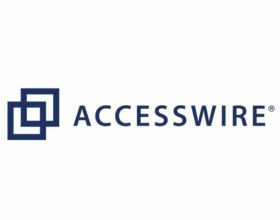 Because funding opportunities that would have previously been unattractive to a VC or too costly to implement for the startup, can now get validation from the market. Many questions revolved around the riskiness of the investments, and how parties acknowledge the risk. It is understood that risk is involved when investing, and the unaccredited investor - almost all Canadians who are not a brokers or investors - would simply not understand the risk they were taking or perform the due diligence for investing. Alixe Cormick of Venture Law seemed to disagree with this assessment of the market, and affirmed the crowd was as good or better than a single analyst looking at spreadsheets all day. Even remarking most institutional investors don't read all the risk and warning documents or fully understand them, looking at the disclosure as a mere formality. Because of the sheer mass of people involved in crowd investing and their perspective views, the scams and untenable projects are quickly flagged while the prime choices have the chance to receive investment. Matthew McGrath, CEO of Optimize Capital Markets remarked that it was great to hear so many different perspectives from so many key participants in the Crowdfunding Ecosystem and that it's clear that everyone involved in this new sector is committed to building an extremely transparent, objective, and prudent Source of Capital and Opportunities for Entrepreneurs and Investors alike. The event touched on a lot of points and trended on twitter, with the main take away being: the way companies raise money is changing and it's to everyone's benefit. The new crowdfunding proposals do not fill all the gaps for raising capital. This is simply another component of the funding continuum being addressed. If we look at the EU as a proxy to where we are going it means a lot more companies are going to have access to funding and can finding success without the usual strings. If you have any comments on the proposed legislation and would like to see something changed, send your ideas, comments and feedback to the BC Securities Commission on notice 2013/03 by June 18th (more info). A copy of the proposed rules can be found here.